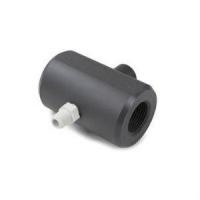 1″ adjustable PVC Air Injector. 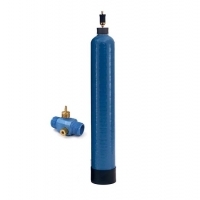 Requires a minimum 1.5 gpm & maximum 15 gpm flow rate to operate properly. Only works with submersible well pumps. note: will NOT work with jet pumps. Back washing filter required after mixing tank to catch iron, h2s etc..
FIVE STARS is simply NOT ENOUGH for this great company. Had to communicate with them a few of times, prior to purchase. Only once before, have I experienced the level of caring, from any other firm. Real good experience.customer service and shipping. Was fabulous. And the Softener works like a charm. I would do it again. My order arrived promptly and the company made installation information readily available online. Everything went well and I love the new system’s results...a fabulous supply of soft water! Great prices, super fast service and shipping. Great place to do business. You talk to a person and they return your call quickly if no one is available. They will walk you through any installation or programming issues while on the phone. Very impressed. WHAT A WONDERFUL EXPERIENCE (TO SAY THE LEAST). One could never imagine how nice. America at its best! Aplus Water is an outstanding company to do business with. Product was quickly delivered and as described. Contacted them for product information, and response was exceptional. A rare quality for any company these days. Wish them all the best. Came three days early. That was unexpected. Very quick service. Loved the email explaining the water softener. This was so much less expensive than anywhere in Phoenix. Shipped fast. Packaged well. All items arrived together with no damage of any sort. The online setup directions on Aplus Water website were excellent with good pictures, making setup a breeze. We definitely recommend Aplus Water for your softener needs. I must say I am very pleased with this purchase and with the service I received when I called for help with the programming they walked me through it in no time at all. The water is such a huge improvement, my wife and I are both so glad we purchased and installed this water softener from Aplus Water. Thanks guys!